Maxit App Offer free Rs. 150 as welcome bonus.This offer is valid for limited time.As per Maxit offer all user who download and signup on Maxit app will get 100 pints bonus from maxit and extra Rs. 50 will be credited to their mobikwik wallet. Not only that you all will be earning 50 points for each successful referral. Maxit Refer and Earn : Rs. 50 points for sharing. Chillr app Offer to Get Free Rs. 100 in bank account. Finozen app referral program : Rs. 100 on signup + Rs. 100 per referral. 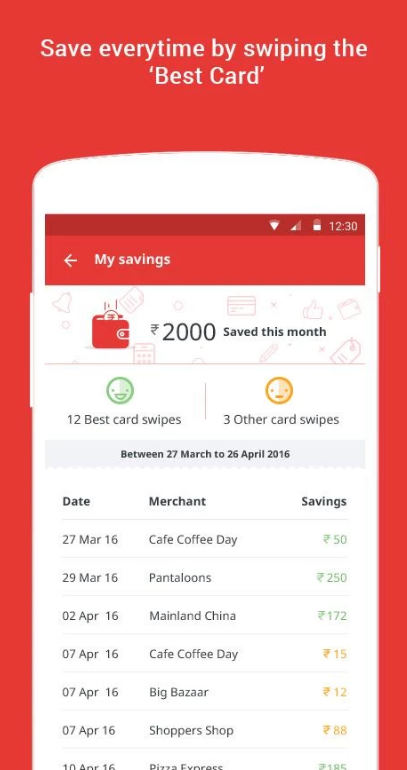 Maxit app helps you to find saving opportunities on your debit & credit spends. This app is from Aditya Birla Group . How To Get Signup Bonus at Maxit app ? 4. Select your bank and card type. 5. 100 Points will be credited to maxit account instantly. 6. Rs. 50 mobikwik cash will be added to your mobikwik account. Check Here to know about Maxit app Mobikwik Offer T&C. How To Earn Money from Maxit app Refer and Earn Program ? 1. Prerequisite is you must be registered user of maxit app. 2. To get your maxit app referral code go to Menu >> Refer a Friend >> Share on Whatsapp, etc. 3. For each referral you all will be getting 50 points. How to Redeem Maxit Points ? 1 . Once you reach 200 points then you can redeem 200 points for Rs. 20 paytm cash. 2. Conversion limit for first week is Rs. 50 = 500 points. 3. Conversion limit for third week is Rs. 30 = 300 points. Maxit App Conversion scheme ? 10 points = 1 Rs.